Dr. Dawn started out in the medical field as a registered nurse for ten years prior to being introduced to chiropractic. She spent many years working on a cardiac step-down unit in a hospital in Lima, Ohio. She also subbed for the school nurse at the school that her children attended. Dr. Dawn thoroughly enjoyed spending time at the school and interacting with the students. Most of all, she has always found joy in serving others. Dr. Dawn’s introduction to chiropractic came after exhausting all other medical routes for her daughter who struggled with neuro-developmental delays including delayed speech, balance and coordination challenges, and fine motor delays. She also struggled with sleeping habits and constipation at an early age. Through regular chiropractic adjustments, Dr. Dawn’s daughter began making great developmental strides. Her sleeping difficulties began to disappear and her vocabulary quickly exploded. Constipation was a thing of the past. Dr. Dawn and her husband quickly fell in love with chiropractic and the science behind it. They knew that they had to share the hope that they had found through chiropractic. 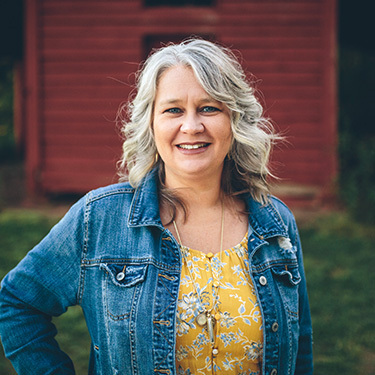 After much thought and prayer the Thomas’s moved their family to Georgia so that Dawn could work toward her doctorate of chiropractic degree at Life University. During Dr. Dawn’s time at Life University she attended additional seminars focusing on pregnancy and pediatrics. She spent her internship working with Dr. Tony Ebel, a world-renowned pediatric chiropractor and his team in Illinois. She will forever be grateful for this experience. In her words, “It gave me the confidence and certainty needed to become a pediatric chiropractor.” She is currently working toward her International Chiropractic Pediatric Association (ICPA) certification. Dr. Dawn is involved with Epic Pediatrics, constantly expanding her knowledge on how to provide children and families the best possible health care. She enjoys serving others through her church’s special needs ministry and other areas in the community as needed. In her spare time, Dr. Dawn can be found at her son’s football games or at the local park enjoying the Georgia sunshine! Contact our practice today to learn more about starting your family on the journey to incredible health! We offer convenient Saturday appointments that work well with your busy schedule.